When: Thu., May 9, 6-9:30 p.m.
Come join Gillian Trask as she unveils her dramatic, edgy and organic jewelry collection. Guests will have the opportunity to enter a raffle to win several one-of-a-kind pieces from the artist. 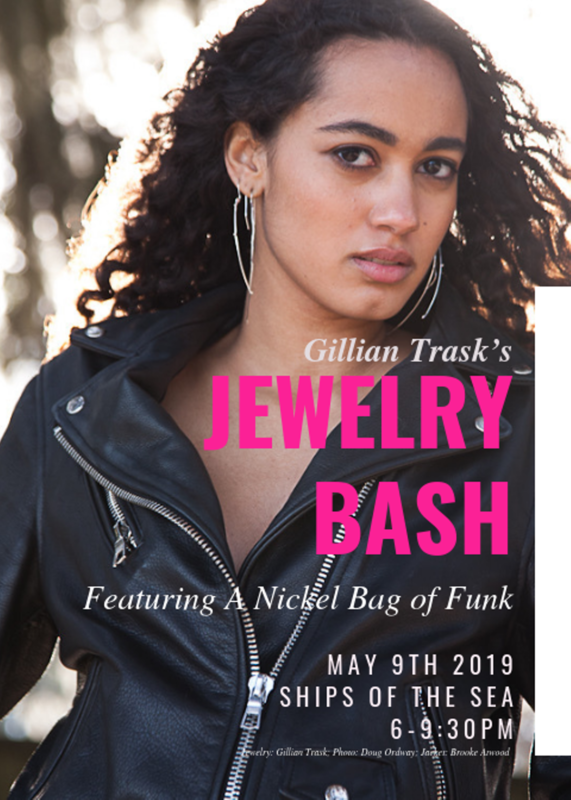 Enjoy a carefree night of music by Nickel Bag of Funk, fun and entertainment.